Australian company Container Rotation Systems (CRS) has unveiled its new coal container — the Coaltainer®. This heavy-duty coal container is designed to be extra strong for high duty cycle application. It is designed to be used with a rotator, such as CRS’s Eurospec, making it possible to unload bulk coal from containers. The Coaltainer® is certified for rotation through 360° or 180°. It has a gross weight capacity of 38,400kg, which includes a 34,720kg load capacity and a tare weight of 3,680kg. The Coaltainer® is available with an optional hard lid or rear discharge door. It is fully compatible with the Rotainer Eurospec 38 and Tiltainer 35. The Coaltainer® has clean inside walls for smooth discharge and dust minimization as it avoids hang-ups. Its curved inside wall contributes to a clean pour of the load, not a quick dump, which has less impact on the cranes. The Coaltainer® has a certified standard patent, and registered designs. It has heavy- duty, specially designed replaceable twistlocks. A fleet of Coaltainers® will soon be delivered to the Ust Luga port in Russia, where they will be used with CRS’s newly released Rotainer Eurospec 38 rotator, working under a Kone STS crane. 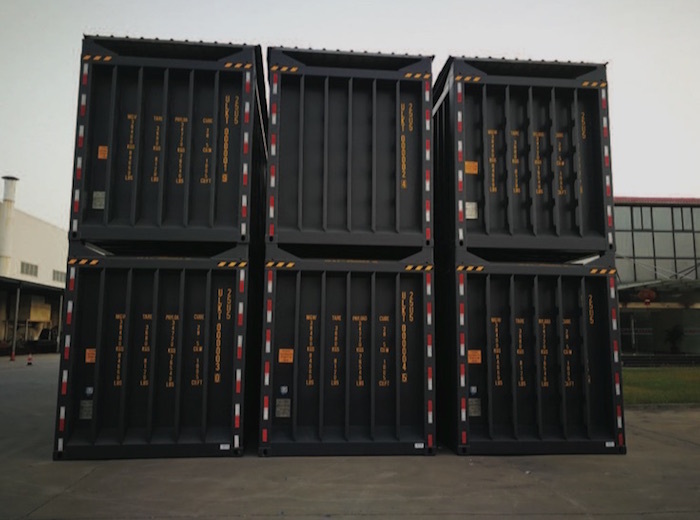 CRS, based in Sydney, Australia, developed its 3container-emptying system to offer an efficient solution to the problem of unloading bulk from containers. This is a concept that is gaining in popularity worldwide. CRS has recently delivered its first Eurospec rotator to Canadian stevedore and terminal manager QSL to empty its alumina cargoes. More Eurospecs have also been ordered from CRS — two Eurospec 38s are for Ust Luga port (as above), and another order has also been placed by PLP St. Petersburg, and will be for extra heavy duty models that will be used for a scrap metal application.